Join us this Lent as we have done for the past 4 years and journey along with the folks at Dynamic Catholic on our Best Lent Ever. Daily emails with videos and points to ponder and act on will help make this your Best Lent Ever! You can sign up by CLICKING HERE! This money will go to the Catholic Relief Services Rice Bowl collection which helps those in need all around the world and to our Brothers and Sisters in need in Guatemala. Join us on Sunday, April 14 for a FREE Palm Sunday Breakfast! Featuring quiche, bagels, danish, fruits and more. Come and learn about our new partnership in Guatemala from the members of our Building Bridges Committee. As we’ve been saying in the bulletin, it’s free, but you do need a ticket! 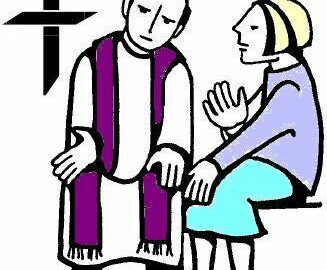 During the Season of Lent, the sacrament of Reconciliation (Confession) is available to all every Saturday at 3:45 pm. You can also call the office for an appointment. Please call the Pastor at 371-9632 x13 to schedule an appointment.